What Is Birth Brachial Plexus Injury? What Causes Birth Brachial Plexus Injury? The brachial plexus is a network of nerves that begins at the spinal cord in the neck and delivers messages from the brain to the shoulder, arm and hand. 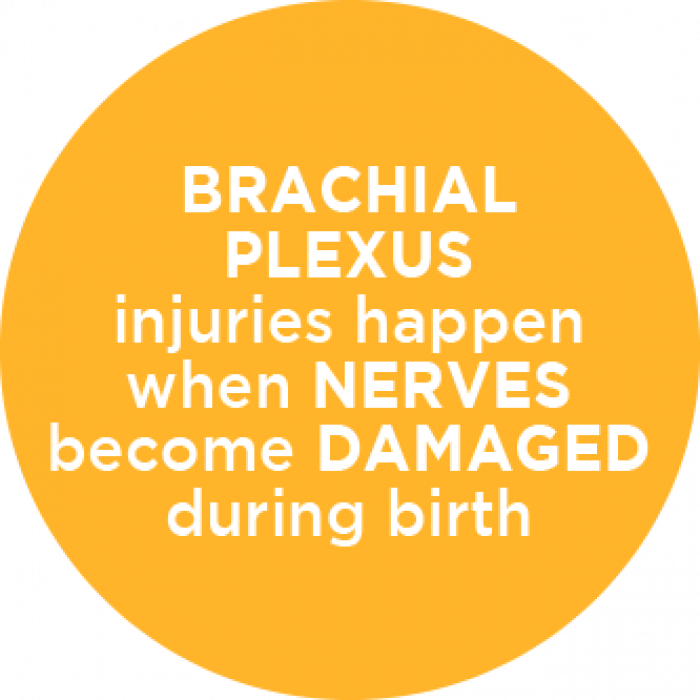 Birth brachial plexus injuries happen when this nerve network becomes damaged during birth. The injuries can cause problems with controlling movement and feeling sensations in the hand, wrist, elbow and shoulder. Brachial plexus injuries happen whenever nerves get stretched or torn. Some of these injuries happen during the birth process. Most often the baby’s shoulders might become wedged within the birth canal, causing the brachial plexus nerves to stretch or tear as the baby is delivered. In general, there are four types of nerve injuries. All can occur at the same time in the same infant in different parts of the plexus. A stretch injury that “shocks” but doesn’t tear the nerve is the most common type. This type is called a neuropraxia. Normally, these injuries heal on their own, usually within three months. A stretch injury that damages some of the nerve fibers might result in scar tissue. The scar tissue might press on the remaining healthy nerve. This condition is called a neuroma. Some, but not total, recovery is usually possible. A stretch injury that tears the nerve apart (ruptures it) will not heal on its own. It might be possible to repair a rupture by weaving together (splicing) ruptured nerve strands with healthy strands from another of the child’s nerves. An avulsion happens when the nerve is torn from the spinal cord. It is not possible to repair an avulsion from the spinal cord. In some cases, it might be possible to restore some function by splicing damaged nerve strands with healthy strands from another of the child’s muscles. Approximately two babies in every 1,000 experience brachial plexus injury at birth. About 50 percent of infants seen at Gillette need surgical or other treatment. Others recover spontaneously, with the help of physical or occupational therapy alone. 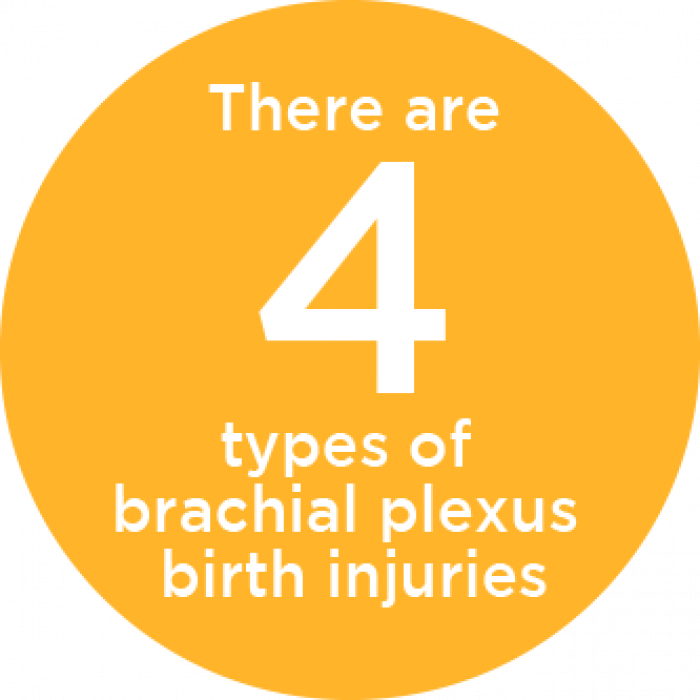 Difficult births, such as breech births or births involving a long labor, increase a baby’s risk of brachial plexus injury. Many babies with brachial plexus injuries are larger than average at birth. However, newborns of all sizes (including premature babies) can have brachial palsy as well. Regardless of the type of nerve injury, the symptoms are the same (loss of feeling and partial or complete paralysis). The severity of the injury helps determine treatment options and recovery possibilities. Be able to move the shoulder or elbow, but have trouble moving the wrist and hand (Erb’s palsy). Be able to move the hand, but have trouble moving the shoulder or elbow. Not be able to move or feel either the arm or hand (global palsy). Bend and straighten their elbow. A brachial plexus injury that happens during or shortly after birth can result in lifelong problems, affecting the shoulder, elbow, arm, wrist and hand. Children who seem to have problems with movement should get tested by a specialist who can make a diagnosis and develop a full treatment plan. Early identification and treatment of brachial plexus injuries is critical for reducing long-term effects and the need for surgery. 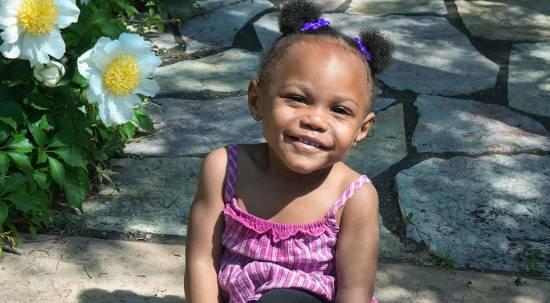 Babies who don’t use an arm for an extended time might need extensive surgery to correct bone and muscle alignment. If you suspect your baby has a brachial plexus injury, have them tested by a specialist during the first few months of their life, if possible. CT scan or ultrasound (to assess the shoulder joint). Therapeutic treatment is most effective for babies diagnosed between 3 and 6 months of age. Most children will regain full use of their arm and hand through occupational therapy. If your child is diagnosed with brachial plexus birth injury later in life, they might benefit from upper extremity functional and intensive therapy. If the condition doesn’t resolve with therapy alone, Gillette offers brachial plexus surgery. 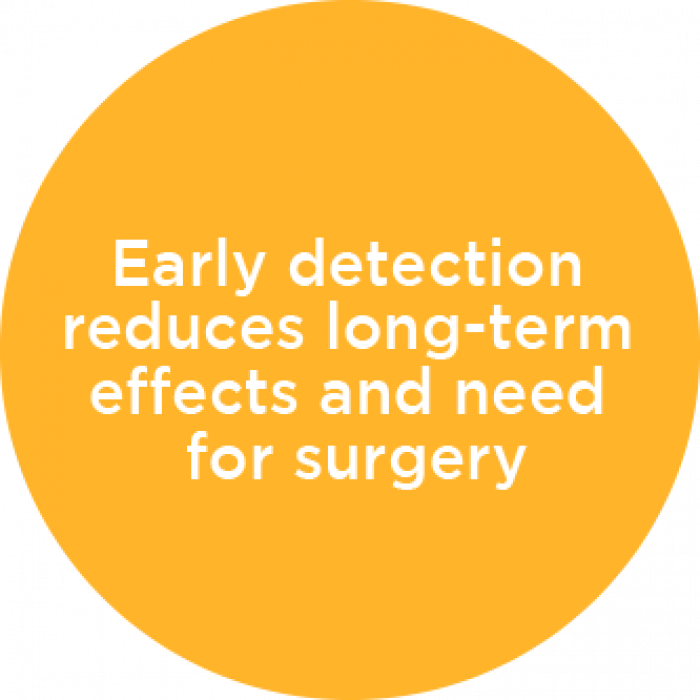 Combined with postsurgical therapy, the surgery can improve motor function. Our surgeons might implant nerve guides, perform nerve grafts or perform neurolysis to increase input to muscles. Have severe brachial plexus injuries. Have injuries left untreated for too long. If your child has a brachial plexus birth injury, you’ll work closely with a team of internationally recognized specialists to create a customized treatment plan. Our multidisciplinary team approach often means your child can see multiple specialists during one visit at one family-centered location. Rehabilitation therapists with extensive experience diagnosing and managing birth brachial plexus injuries.